In work we are all combinations of the artist and the photocopier. Here we begin to uncouple the two. Genius, Thomas Edison famously remarked, is one per cent inspiration and 99 per cent perspiration. The same may be said of work. One might have an idea in a flash of brilliance, but to have this appreciated by others takes effort – often a great deal of effort. Why is work so hard? Why does it consume so much energy? Here we search for answers to these questions. For our enquiry we need to introduce new concept, a value surface as way to visualise perceptions of value across a population of consumers, so as to better understand its creation and evolution. Edison’s inspiration is at the origin of the creation of value. His perspiration is about the elevation of this value surface. In the previous article, we considered how multiple perceptions of value are formed during a routine visit to a retail outlet. These same perceptions arise when an individual meanders through the virtual aisles of the internet. 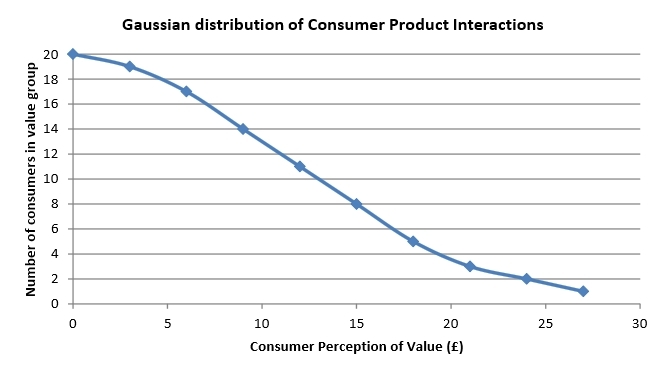 Multiple perceptions of value for different products are continuously formed and adjusted through their Consumer Product Interactions (CPIs). Now we must change the centre of attention from the consumer onto the product. In this case, for each product, all CPIs taken together comprise a population with a range of value perceptions from zero to very high depending on many and varied individual preferences. The value surface displays this variation of value as a height for each point that represents an individual consumer. In the absence of any perceived value, a value surface would be a flat plane at zero height. We now visualise value creation as the elevation of this surface for a particular commodity. The value surface represents innovative content, as it shows the growing appreciation of value across a population of consumers. Work is hard because it involves the elevation of the value surface rather like a huge wobbly marquee. It would be convenient at this point to imagine that this economic value can be hoisted progressively higher by the dedicated exertions of its creators, producers and salespersons, to stand aloft attracting potential acquisition like a huge advertising balloon. This, however, is too simple an image. Adding value is not a simple incremental process such as filling a bucket. Many influences not directly related to the product itself impact upon its perceived value. No commodity can expect to be sold simply by virtue of the combined energies that have led to its sale. A more subtle and realistic interpretation of value-adding activity is necessary. The concept and evolution of a value surface provides this interpretation, which is best demonstrated through two examples. 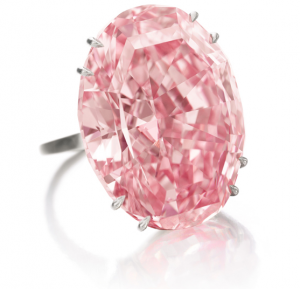 On November 13th, 2013, a diamond known as the Pink Star was sold at auction in Geneva for $83 million. We will consider how the value surface could have evolved with time from the discovery of this gemstone to the occasion when it sold at auction for a record price. A conveyor belt carries rubble from a South African mine and a prospector scans the passing rocks for something valuable. The prospector is an economic entity who can bestow an individual appreciation of value. But value remains negligible until the vibration of the belt disturbs a rock to reveal protruding from the newly exposed surface a translucent incongruity. Within an instant the previously anonymous rock soars in value – for that single, individual prospector. This is not as swift a transition as it sounds, for the prospector is but one small contributor to a vast consensus by which the value of an item is to be determined. The rock is separated from the surrounding rubble to begin an economic journey, leaving its erstwhile neighbours to remain jostled by the belt at a status of zero value. The recovered diamond, still in its primitive state, is taken to auction and those that become aware of its presence also attribute a value to the artefact. The earlier act of discovery and now the auction do not change the fundamental nature of the item. However, its perceived value is changing. The value surface in figures below charts the stages through which more people are becoming aware of the value of an item and how their perception of its value changes with time. 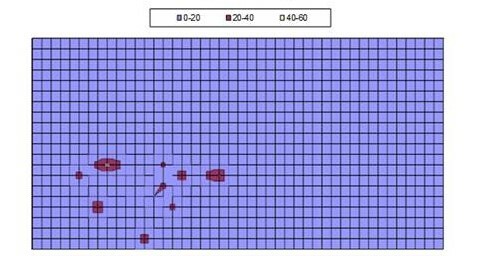 For the Pink Star diamond, a single blip of value initially distorted the vast levelness of value surface at discovery (1). During the auction further discrete blips of recognised value start to emerge (2). The recovered diamond, still in its primitive state, is transported to another continent, where for more than two years in the hands of expert craftsmen it is fashioned into the Pink Star jewel. Faceted and iridescent, it is placed into a ring housing to be presented to the world. The craftsmen that have added such value to the diamond have done so by changing its information content that then encourages individual consumers to appreciate its value. The contribution of the craftsmen is registered as many more blips of increasing height appear on Value Surface (3). Many who view the now sparkling gemstone conclude it is indeed a rare and valuable item. Occasionally, someone may be unable to differentiate the subject of our story from other pieces of cut glass found in the vicinity. Others may be unimpressed by its distinct lack of utility. Some perceptions of value will be less than others. And still there are vast numbers of potential acquirers that remain ignorant of the presence of the gemstone. The jeweller’s sales and marketing team take matters to hand with a mission to inform as many relevant people as possible of the availability of the sought-after gemstone. Through advertising many more perceptions of high value are created for individuals who have yet to come face-to-face with the item itself. The gemstone set within its jewel housing is unique, so the price should appear as a ceiling to all individual assessments of value represented by the value surface (4). Another auction is needed to identify the single individual for whom the perceived value reaches this ceiling and for whom there is a positive difference between value and cost. A sale event occurs and the diamond begins another leg on its commercial journey. If we review the economic history of this African diamond from discovery to sale, looking down onto its value surface, we observe a single perturbation at discovery which develops with further individual contributions to perceived value that gradually multiply in number and significance. Finally, the value surface appears as a tossing sea of many variable valuations as the information content of the gemstone is continually modified and propagated with time. Two things are driving the evolution of the value surface of the diamond over time. First is the purposeful deployment of investment due to the economic efforts of the prospector, through the auctioneer to those of the craftsmen and the sales and marketing group. Also in the background are other numerous agents involved in the physical editing and transmission of the information content in the evolving product, which serve to create an appreciation of value for a population of potential consumers. Second, external events will continuously disturb any equilibrium. The availability of alternative competing products, taxation changes, or a lack of economic confidence all can influence individual perceptions of wealth and thus contribute to the seascape motion of the value surface for the diamond product. Overlaid on this economic journey with its various pitches and swells and twists and turns is a physical editing and transmission of the information content in the evolving product, which serves to alter its perceived value for a population of potential customers. This diamond is a unique product and as such has a unique economic journey. It is an example of almost pure innovation – but more on this later. The journey would be different if the product were not as special. For consumer products that are not as unique as the Pink Star diamond, we need to revisit the shelves of the Meadowhall shopping centre. 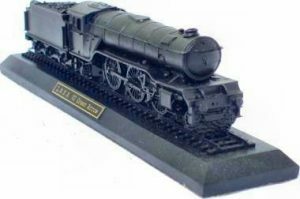 Perusing through the many products on offer our interest focusses on a block of coal sculpted into the form of a 1936 steam locomotive. The displayed engines have been handcrafted using deep mined Scottish coal. Like the diamond, it is a product without a broad utility, but it does have some value. Let us examine a series of 100 CPIs occurring one Saturday afternoon. Most of the passing consumers will barely recognise any value in the carved coal artefact. They simply do not want an old model steam engine carved in coal. Say 20 of the 100 interactions register this negligible value. Another 19 CPIs may attribute a low value of about £3. In passing, other consumers recognise the coal sculpture as a sign of bygone communal efforts of miners, scratching energy from the bowels of the earth to warm and light their homes. It would be good to be reminded of this, they think. These folk attribute a greater value to the artefact. Seventeen, 14, 11 and 8 consumers would pay £6, £9, £12, and £15 respectively for the sculpture. Depending on its price, the locomotive may sell to these opportunistic passers-by. Another five people recognise the coal sculpture as an accurate representation of a LNER Class V2 2-6-2 steam locomotive, number 4771 Green Arrow that was built in June 1936 for the London and North Eastern Railway at Doncaster Works. They know much about these sorts of things. Of these enthusiastic consumers, five value the item at £18, three at £21 and two at £24. Finally, a single collector of coal sculpture knows the displayed locomotive is the one that would complete his extensive collection. This isolated individual would pay £27 to acquire the item. The price of the goods is set at £19.99 and six CPIs from our series of 100 result in sales of the coal sculpture. The store receives £119.94 through the course of the afternoon as a reimbursement for its work. The pattern of individual perceptions of value associated with the CPIs is shown in the figure above and this is half of a familiar “bell-curve” pattern known as a Gaussian statistical distribution. This trend arises from a tendency for most people in any population to be close to its average and the further way from this average you are the fewer people you are likely to find. Most people in Meadowhall have no desire to purchase a particular. The peak value of the bell curve is thus set at zero. The amount the curve stretches sideways is given by a single term xsd which is called the standard deviation of the statistical distribution. A higher xsd specifies that more dedicated enthusiasts are prepared to pay a higher price for the goods. 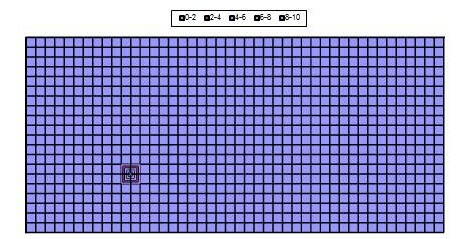 This assumed Gaussian distribution is simply another way of representing the above value surface (4) where the complex pattern can be defined by a single number – the standard deviation xsd. Higher values of the standard deviation xsd are a property of the consumer market and enable higher prices for greater profit. This example of the trade of a coal sculpture is highly simplified. It is based on an assumed Gaussian distribution of consumer preferences. Neither the cost nor the consequences of the sales are included. However, the assumptions made enable the intimacy of the economic phenomena to be made visible and amenable to further analysis. The oscillating seascape of a value surface for the train sculpture can capture those marginal valuations whereby a consumer does not really need the goods, but has occasion to acquire these as the price is so irresistibly cheap (who hasn’t done this?). The value surface thus accounts for febrile human nature. Above, the creation of the Pink Star diamond is seen as an act of pure innovation, as information content that communicates the value of this unique item leads to a single sale. For of the coal sculpture, it too has an information content that communicates a lesser value to passing consumers. However, here we also have an element of production where the same information is copied across a number of almost identical items. Many other items displayed on the Meadowhall shelves combine innovation and production in varying degrees depending on how the information content that determines their value surface is copied through production into multiple identical items that are made available for sale. Innovation and production are two fundamental components of human labour, which can be considered separately and recombined. We shall see that their relationship defines an individual’s labour, and also that of their commercial enterprise and economic society. This is not the average however as only half of the bell curve is being considered. It is assumed that there are no people with a negative valuation who would have to be paid to purchase the product. xsd takes a value of 12 for the coal sculpture product discussed here. 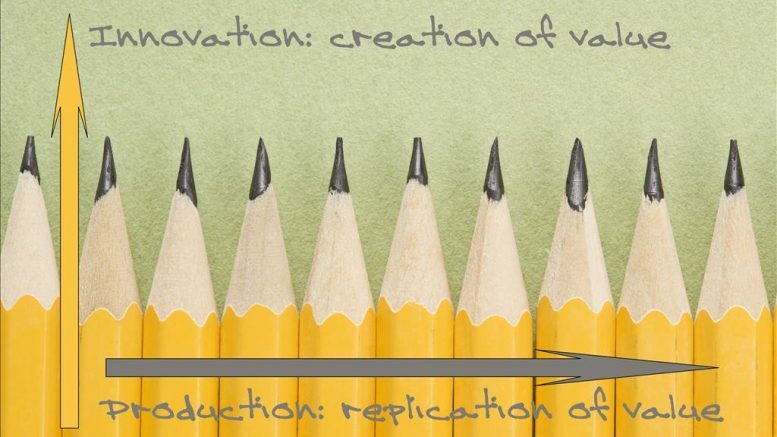 A formal approach to the analysis of innovation and production as two independent components of human labour can be found in A Labour Theory of Value Creation. Be the first to comment on "Work as a vector – in a tale of two carbons"